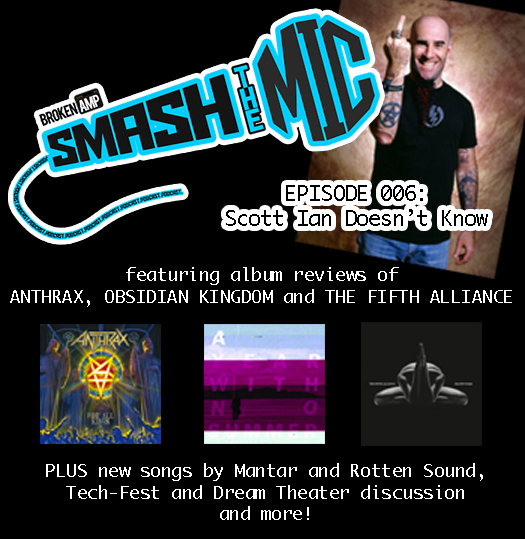 This week, Smash the Mic discusses the latest Tech-Fest announcements, Dream Theater‘s upcoming video game and new songs from Mantar and Rotten Sound. On the review docket, we have the new releases from Anthrax, Obsidian Kingdom and The Fifth Alliance, and Psy also chats about the slightly strange Ninjaspy. Another week, another hour of enthusiastic content! Anthrax – Facebook. New album For All Kings out now. Website. The Fifth Alliance – Facebook. New album Death Poems out now. Bandcamp. Obsidian Kingdom – Facebook. New album A Year Without Summer out now. 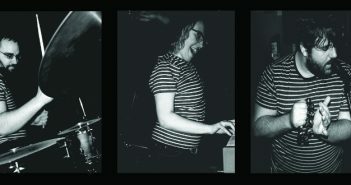 Bandcamp. Ninjaspy – Facebook. Feature-length πature out now. Bandcamp. Rotten Sound stream new song. Dream Theater announce plans for a video game. Iron Maiden’s “Legacy of the Beast” game also on the way.